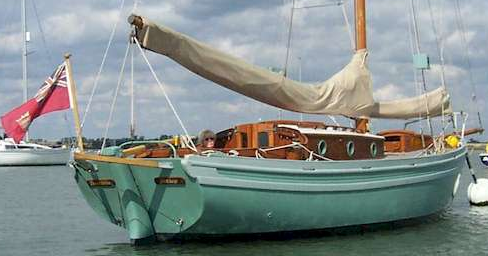 The Yonne is one of Harrison Butler's most respected designs, famously described as 'the sports model'; a claim that will chime with those who have seen Craig Nutter's Sabrina racing in The Solent. 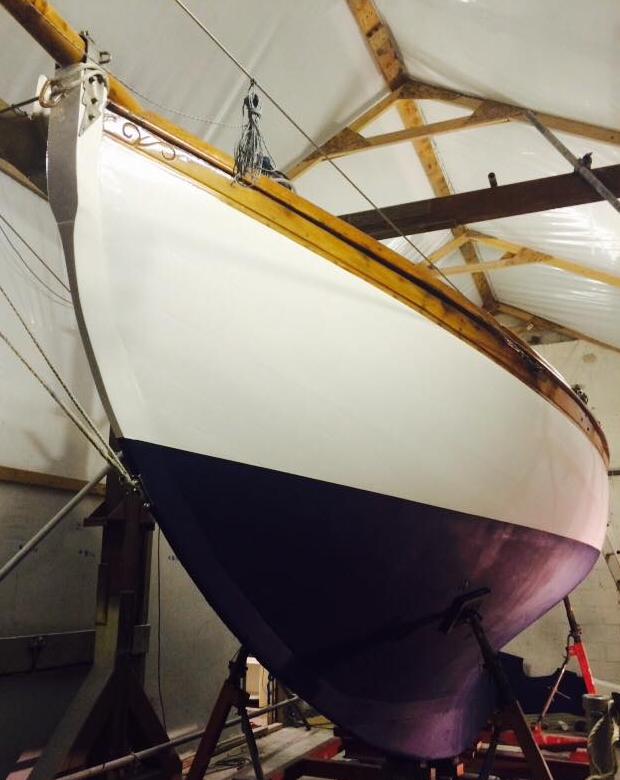 Also based in The Solent are the Yonnes Destina and Mischief III, the latter's restoration winning Classic Boat's 'Restoration of The Year' award in 2012. Halloween is based in Strangford Lough, Yonne in Eastbourne, Thalia in Italy and Yarinya in the Netherlands. Thule is currently (July 2018) for sale in Rotterdam and Thalamege is also for sale, but as a project. 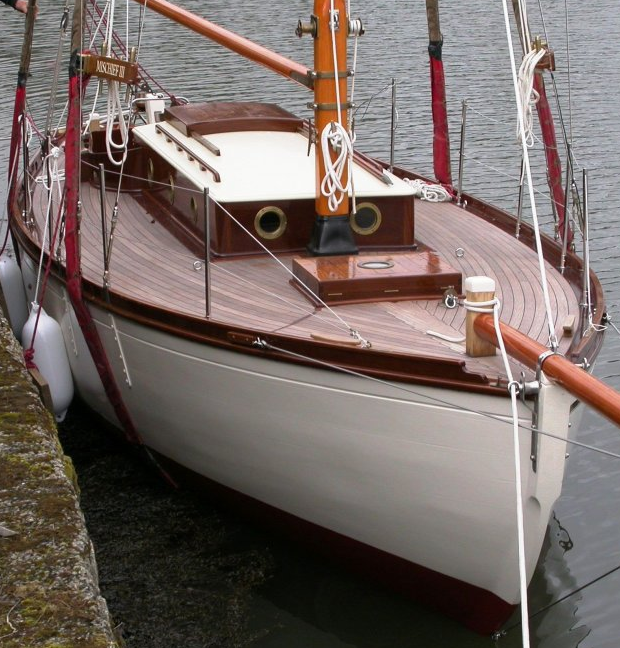 She's ashore in Medemblik, in the Netherlands. In July 2018, news broke of a 'forgotten' Yonne called Prunella that sank in Hong Kong in 1953. The Yonnes inspire great enthusiasm and loyalty in their custodians and the design has proved to be of enduring merit. There is considerable expertese amongst the Association's membership about realising this design and anyone contemplating a restoration or a new build is advised to tap into this. I've included below the text published in Yachting World with the design. It gives some insight into what Harrison Butler hoped to achieve with his Yonne design. It is a little unusual to find the mast of a Bermudian cutter of such small size stepped in the same position as that of a gaff cutter, namely two-fifths of the waterline abaft its forward end, but this has been done purposely in order to obtain a comparatively large staysail. Harrison Butler has found that Minion, a Cyclone II, would sail to windward under headsails alone, and would come about readily in smooth conditions in Southampton Water. With the jib aback and the mainsail lowered she would heave to and remain steady. He anticipates that the Yonne design would behave in a similar manner under staysail alone. When running before the wind the staysail and the mainsail would be goose-winged, and it should be possible to make the staysail spill the wind into the jib so that all sails are drawing instead of hanging idly, blanketed by the mainsail. From a glance at the lines it appears that Yonne has plenty of grip of the water and a nice clean run, so in all conditions she should be remarkably steady on her helm, in spite of her short length. In small craft of this type steadiness and the ability to look after herself are very valuable qualities. 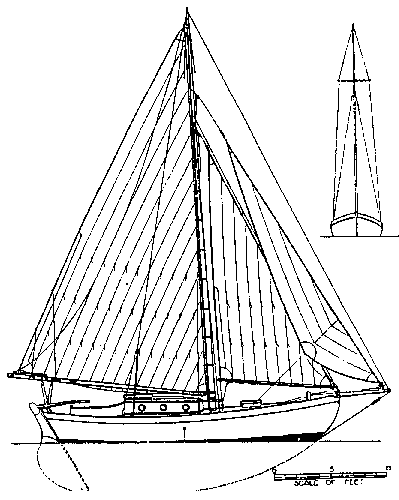 In the accommodation plan the mast is actually shown stepped nine inches further forward than in the sail plan; if a larger area were required this alteration would be necessary, and the larger mainsail would be balanced by a larger jib. Actually, the position shown would make very little difference to the arrangement below. In small cruisers there is one thing that Harrison Butler never omits, and that is provision for handling charts in a convenient position. Just inside the cabin to port is a big locker for oilskins, another item which is not always remembered. The position of the bilge pump just to port of the compass is well chosen, and it is worth noticing that the discharge from this pump passes through the topsides just below the rubber and not on to the deck.